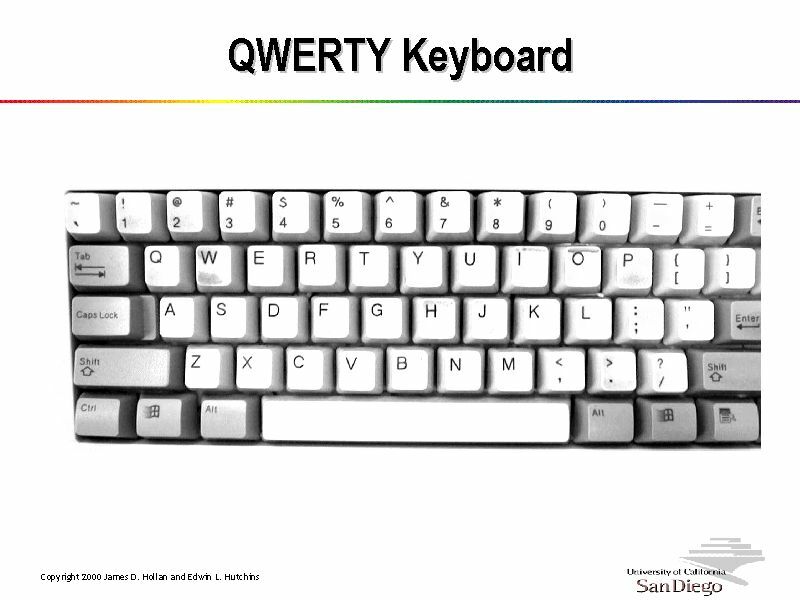 QWERTY (/ˈkwɜrti/ is the most common modern-day keyboard layout. The name comes from the first six letters (keys) appearing in the topleft letter row of the keyboard, read left to right: Q-W-E-R-T-Y. The QWERTY design is based on a layout created for the Sholes and Glidden typewriter and sold to Remington in the same year, when it first appeared in typewriters. It became popular with the success of the Remington No. 2 of 1878, and remains in use on electronic keyboards due to the network effect of a standard layout and a belief that alternatives fail to provide very significant advantages. The use and adoption of the QWERTY keyboard is often viewed as one of the most important case studies in open standards because of the widespread, collective adoption and use of the product, particularly in the United States.